ALREADY boasting of top-notch players in Jovelyn Gonzaga, Rachel Ann Daquis, Nerissa Bautista and Mary Jean Balse, all former MVPs, Army boosted its roster by tapping the power-hitting Dindin Santiago and former National U teammate Carmina Aganon as they go All Filipino in the Shakey’s V-League Foreign Reinforced Conference firing off on Sunday at The Arena in San Juan. While Cagayan Valley, Meralco and PLDT Home Telpad have tapped Thai and Japanese reinforcements to bolster their respective bids in the season-ending tournament, Army is opted to play all-Filipino with De Guzman confident of his wards’ chances for another championship after dethroning the Lady Rising Suns in the Open Conference. “In a short tournament, every game counts, so expect a down-to-the-wire finish in all matches,” said Army coach Rico de Guzman. Ace setter Tina Salak is still with the Army along with Joanne Bunag, Christine Agno, Genie Sabas, Sarah Jane Gonzales, Patricia Siatan-Torres and skipper Michelle Carolino. The Meralco Power Spikers will be led by former La Salle star Abby Maraño, Thai Wanida Kotruang and Japanese Misao Tanyama with support to come from Stephanie Mercado, skipper Maureen Penetrante-Ouano, Jennylyn Reyes, Maica Morada, April Ross Hingpit, Ma. Concepcion de Guzman, Zharmaine Velez, LC Girly Quemada and Celine Hernandez. Cagayan Valley, out to get back at Army, will be pinning its hopes again on the veteran Aiza Maizo-Pontillas, Janine Marciano, Joy Benito, former Adamson stars Shiela Pineda and Pau Soriano, Gyzelle Sy, Wenneth Eulalio and Relea Saet with Thai Patcharee Saengmuang and Amporn Hyapha as reinforcements. PLDT Home Telpad, the last squad in the four-team cast, will be led by former MVP Suzanne Roces, power-hitter Angela Benting, top blocker Charo Soriano, ace setter Rubie de Leon, Ryzabelle Devanadera, Maruja Banaticla, Lizlee Ann Pantone, Laurence Ann Latigay and Lourdes Patilano with coach Roger Gorayeb also expected to parade a Thai guest player in time for the Turbo Boosters debut on Oct. 9. 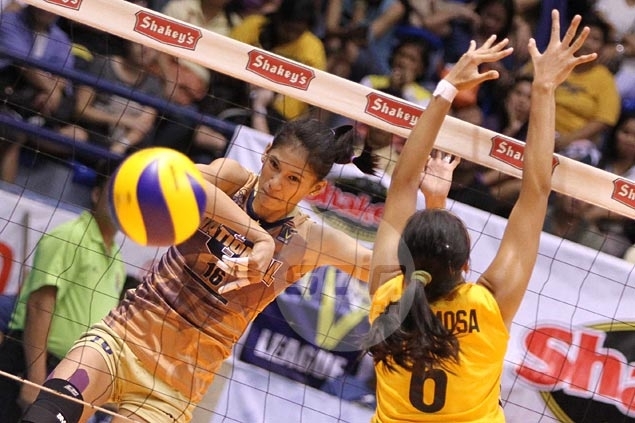 Spicing up the opener is the 2 p.m. exhibition match between the Philippine Under-17 squad against the FEU Lady Tamaraws, who upended the fancied National U Lady Bulldogs to capture their first-ever Shakey’s V-League crown in May. Meanwhile, 2012 UAAP champion Far Eastern University, Rizal Technological University, instituto Estetico Manila and Systema battle to become the first-ever men’s champion in the league backed by Mikasa and Accel.